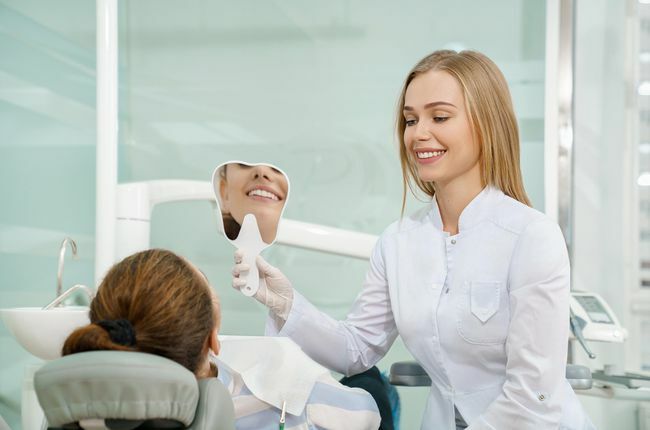 Orthodontics is a very integral branch of dentistry where treatment is provided for teeth that have grown incorrectly or are not in the right place. This branch of dentistry’s primary goal is to treat teeth that are prone to decay and periodontal diseases. A person who is a specialist in this field is known as an orthodontist. A person who has a condition called overbite. A person who suffers from underbite. A person suffering from crossbite. A person who suffers from an open bite. A person who suffers from misalignments. A person who has too many spaces in between teeth. A person who is suffering from crowding of teeth. The main advantage of orthodontic treatment is that it provides a one-time solution for all the aforementioned problems. Orthodontic treatment procedure includes the following. Braces are commonly used dental appliances that are used to treat patients who are in need of orthodontic treatment. There is an extensive use of bands, wires and brackets. There are bands that are fixed around the teeth which are used as anchors. The brackets are usually bonded to the tooth in front of it. Following that archwires are passed through the brackets. The gradual tightening of the archwire puts tension on the teeth. This gradually moves them to their right position. Braces are usually adjusted every month on a regular basis to get optimum results. This process may be completed in a few months or a few years based on the teeth. These are special dental appliances fixed using bands which are in turn attached to the teeth. These appliances may cause discomfort while eating and are recommended only as a last resort. It is used to treat patients who suffer from sucking of the thumb or thrusting of the tongue. A space maintainer is a dental appliance used to ensure that the space between teeth remains open until the eruption of permanent tooth in toddlers. A band is attached to the tooth adjacent to the empty space. A wire is then connected to the tooth on another side. Aligners are used as an alternative to traditional braces for adults. Orthodontists have begun to use serial aligners to move the teeth into the right position which works very similar to fixed appliances. They do not possess metal wires and brackets. They can be removed to eat, brush and floss. Removable space maintainers work similar to fixed space maintainers. They have an acrylic base which is fixed over the jaw. Branches of wire or plastic between particular teeth ensure that space remains open between them. These devices also called as splints can be worn on both the top and lower jaw. These devices help train the jaw to close in a more favorable position. They are also used to treat Temporomandibular Joint Disorders (TMJ). This is a device which helps to widen the arch of the upper jaw. A plastic plate is inserted above the upper jaw. Screws are used to apply pressure to the plate from the outside. This will help to widen the area of the palate. Once the active treatment is complete the follow-up treatment begins. Retention care is a very important part of the procedure to ensure that the teeth don’t move after the completion of active treatment. Dentists advise following regular brushing and flossing while and after orthodontic treatment.